Samantha Willing is an HR Consultant and Executive Coach with over 20 years of Human Resources experience. She serves as a hands-on business partner and trusted advisor for her clients, helping them to develop innovative solutions to business and people challenges. She uses her years of experience to coach clients by identifying opportunities and guiding them through strategic conversations. She works closely with her clients to create a culture that is in alignment with positive people and business results. Sam believes that HR shouldn’t be complicated, and that people are a company’s most important asset allow her to navigate tough business challenges with compassion. 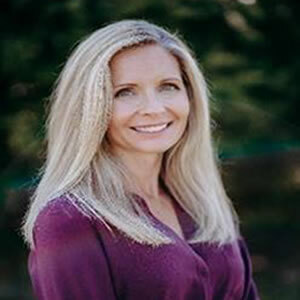 In her individual coaching, Samantha specializes in developing meaningful connections and building relationships with individuals at all levels to help them move past limiting behaviors and beliefs about themselves and/or their work environment and move into their full potential in both life and work. She believes in supporting her clients by listening, speaking truthfully and having empathy. Her work assists individuals in identifying their triggers, analyzing their impact on others and creating development plans to address areas for growth. Part of this process is centered around helping clients set clear priorities in order to make decisions about their lives and careers. Sam believes that when individuals step into empowerment, they experience renewed energy and confidence and can move themselves forward in a meaningful way. Samantha resides in Bellevue, WA with her husband, two teenagers and three dogs. Sam loves the outdoors, snow skiing, watersports and vacationing with her family. Contact us to work with Samantha!